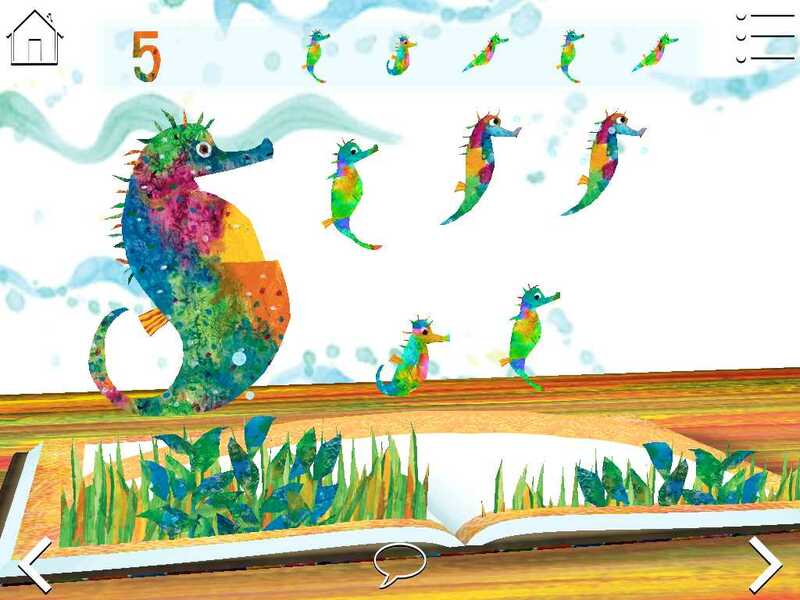 Preschoolers play eight learning games with the characters from Eric Carle's beloved children's books in this new app for iPhone, iPod, and iPad. Eric Carle's beloved storybook characters take center stage in this 3D pop-up book filled with eight learning games. 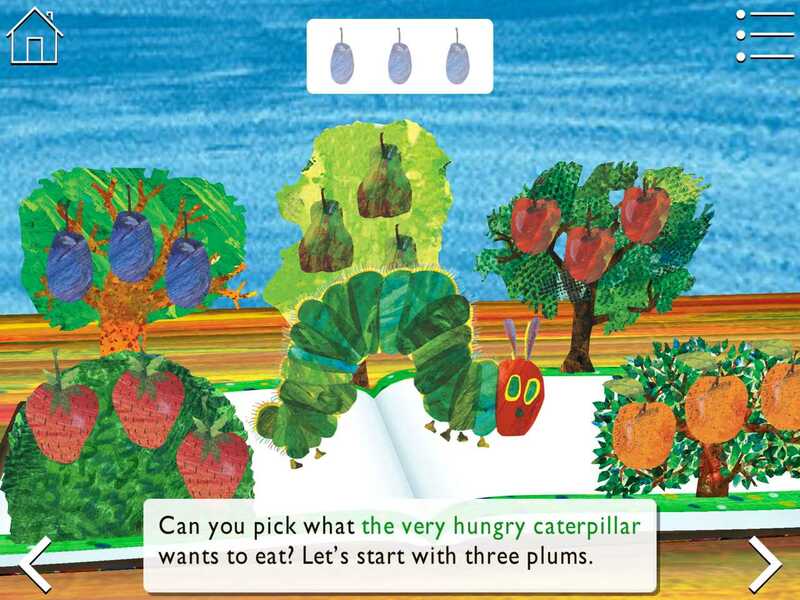 Eric Carle's The Very Hungry Caterpillar book celebrated its 45th birthday by introducing a new children's app called The Very Hungry Caterpillar & Friends - Play & Explore. 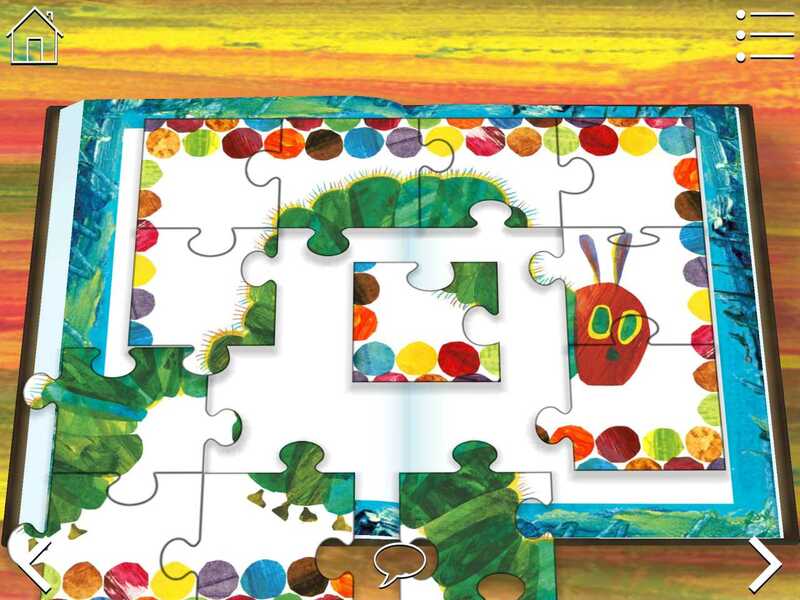 Joining the Very Hungry Caterpillar are characters from Carle's other beloved books, including The Mixed-Up Chameleon, Brown Bear, Brown Bear, What Do You See?, The Very Quiet Cricket, and others. 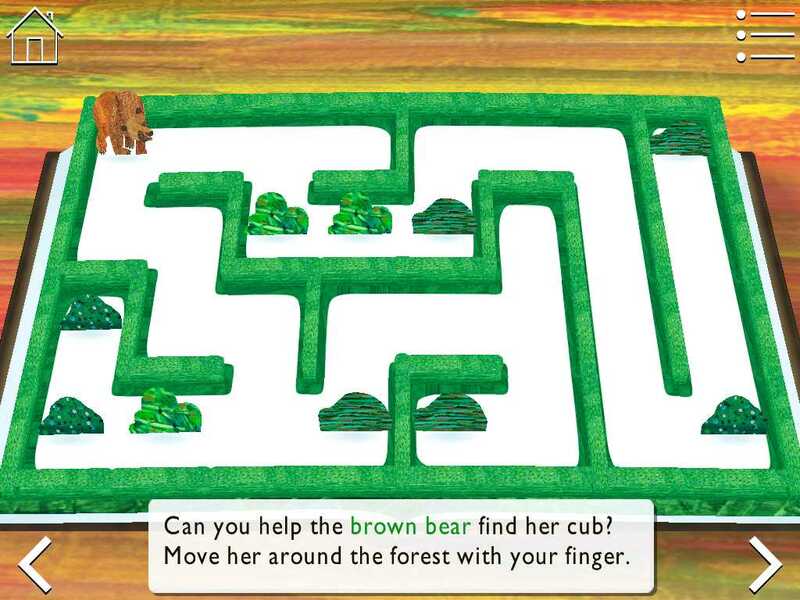 The animals appear in stunning 3D pop-up presentations which house eight different mini-games. In between the games are pages of narration about different animals. Preschoolers will help the Mixed-Up Chameleon count bugs to slurp up, guide Brown Bear through a maze to get to her cub, answer science questions about animals swimming by in the ocean, put together jigsaw puzzles reflecting artwork from Carle's books, and play hide-and-seek with Mister Seahorse. This app reverently reproduces the watercolor cutouts for which Carle's books are famous, making this app spectacular to see. And it is fun to play these math, science, and logic games with these beloved characters; although some are better than others. We liked the jigsaw puzzles and the activity about identifying the characteristics of sea creatures. The pages with reading are long without any interaction, but the mini-games are what makes this app fun. 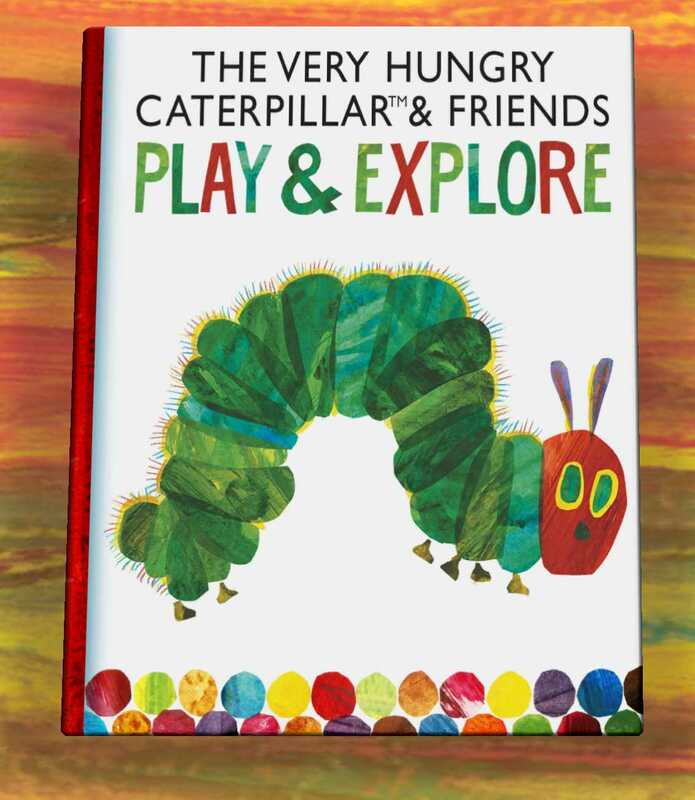 If your children love Eric Carle's books, they will enjoy playing in The Very Hungry Caterpillar & Friends - Play & Explore. 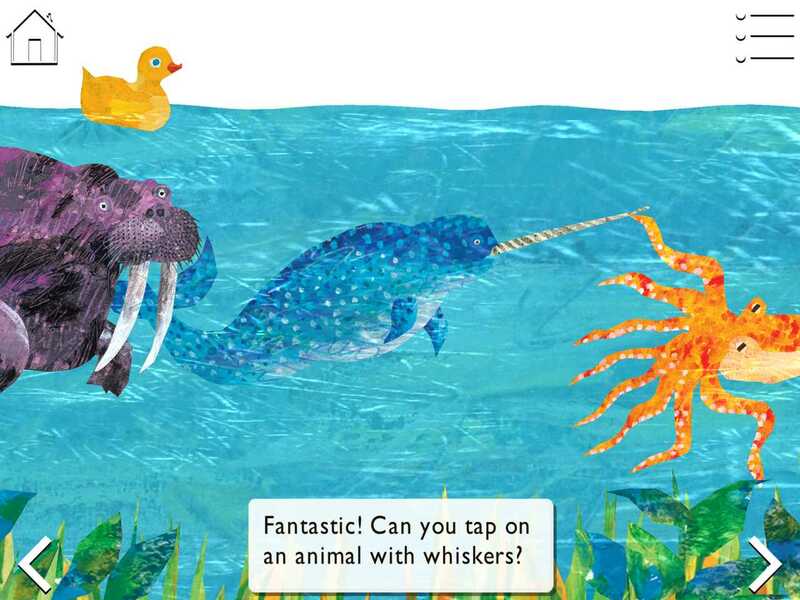 Seeing Carle's illustrations presented in a pop-up format is magical.